Nokia is slowly and quietly pulling up its game again. With Samsung and Apple taking over the smart phone world over the last few years, Nokia will pitch in the market with a new angle this time. Android on Nokia might be the exact thing customers were seeking for quite a while. There was a time when Nokia phones were the name of the game. If elegant and robust was what customers look for, Nokia was often the first option presented on the table. However, as smart phones started to become the trend of the market, companies like Apple and Samsung started to come in the limelight with their classy and expensive, yet user-friendly gadgets with Android and iOS platforms. These operating systems turned out to be amazingly receptive to user needs and thus won for the while. Android is now the most popular platform among users as well as developers. Nokia stuck to Symbian longer than expected. When that did not seem like the best road to take, it experimented with Windows operating system with releases like the Windroid. Nokia Lumia did take off somewhat well with Windows. However, when that too did not turn the tables for the Finnish company, it finally came down to Android. 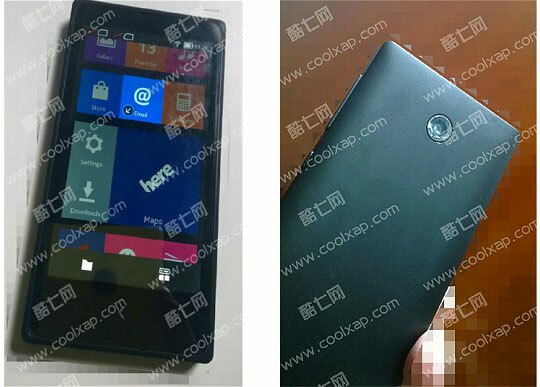 Its upcoming gadget, with the recently-released title “Nokia X” is going to have an Android platform. The phone is a hush-hush up till now but is being eagerly looked forward to since the announcement of the Android support. But where does this take the Microsoft backing? Microsoft has been the backbone of Nokia phones after Symbian. Once the Nokia smart phones take off with the Android backing, which they are bound to, Windows might not have a lot of hope for getting back on its feet with the Finnish company. Companies like Sony Ericsson also started out with the Windows operating system. However Ericsson’s Xperia series had such a huge reception from the customers that Microsoft should look elsewhere. Coming back to the Nokia Lumia story, one cannot help but wonder what went wrong with such a beautifully designed phone with an amazing Windows interface. It seems as though Nokia was not loud enough when reaching out to its customers about its greatness. The operating system of Windows certainly does not stand back in operation. It is equally as good and much more user-friendly perhaps than Android. But unfortunately the advertisement lacks the hype that should be created for the product. The product has scope, however, just gets overshadowed by Android and iOS. Microsoft now needs to make a comeback and experiment in this era of competition. Nokia might appear as abandoning the Windows platform, but Microsoft always has the capacity to improve. Given their technology, they could introduce some revolutionary features to make Windows phones stand out from the rest. These revolutionary features must be mind-boggling if Microsoft wants its product to be of any value among the stars Android and iOS. Windows 8 is in the process of being accepted in the market. This could benefit them since the new operating system would be preferable when the public slowly shifts to the new operating system. This excitement of novel from the public and that extra addition of outstanding technological features could definitely spark things up again for the Microsoft company. Asia United Bank Salary Loan – How To Apply?